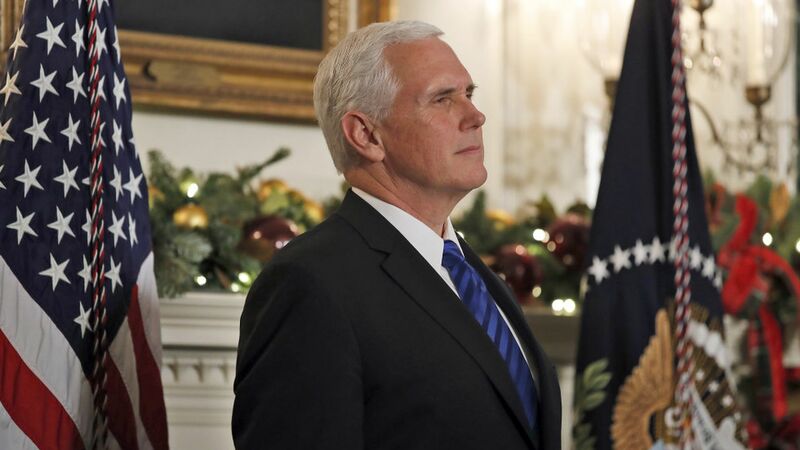 Vice President Mike Pence, who was scheduled to leave Tuesday for a trip to Egypt and Israel, is delaying the visit until Jan. 14, the Washington Post reports. The backdrop: Pence's office said he's staying in D.C. for the House and Senate votes on the GOP tax plan, which is likely to reach Trump's desk by the end of the week. The delay also comes in the middle of widespread protests in the Middle East region over Trump's decision to recognize Jerusalem as Israel's capital.